Netvibes is online tool for monitoring real-time data on many popular social services. With it you can track social media networks, social analytics, reputation management, company portals, intranets, team managements. All of that data is presented to you in one streamlined dashboard that can be used not only by beginners and professions, but also by large Fortune 500 brands, agencies, and enterprises. 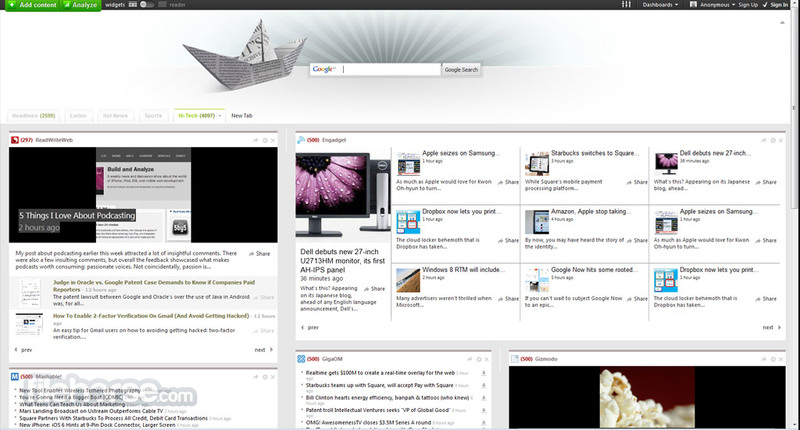 Founded in 2005, Netvibes pioneered the first personalized dashboard publishing platform for the Web. For consumers, Netvibes.com is the most awarded startpage where millions of people around the world personalize and publish all aspects of their daily digital lives. For agencies and publishers, Netvibes’ universal widget technology (UWA), widget distribution services and Premium Dashboards help rapidly deliver brand observation rooms and user-personalized marketing campaigns. For companies, Netvibes Enterprise delivers secure, scalable personalized workspaces, portals and industry dashboards. Social Media Monitoring! 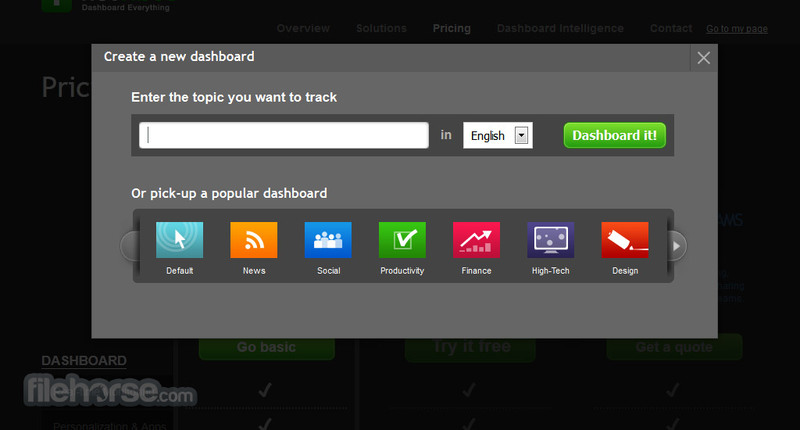 Customize your Dashboard to monitor the things you care about online. Follow your social networks, be alerted to breaking news, or read articles on just the topics that interest you. View your calendar, to do list, emails and apps in one place. Connect your smart devices to automatically control the Internet of Things at your command. 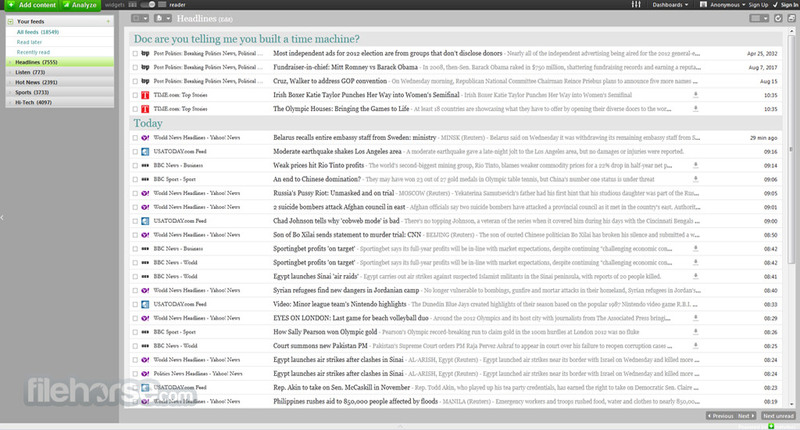 The dashboard and reader, 100% personalized and 100% free. Monitor all your apps, feeds, sentiments, Tweets and even enterprise systems—all in real-time. Pick from 200k+ apps, create custom layouts and publish gorgeous microsites — all in a few easy clicks. Access from your iPad, iPhone or mobile, manage multiple dashboards and even read articles offline—anywhere, anytime.